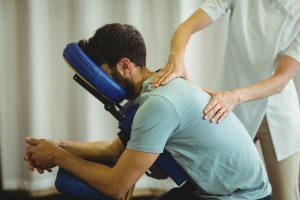 Physiotherapy incorporates a number of different treatment techniques to provide a holistic approach to both injury prevention and cure. You will receive physiotherapy from a state registered Physiotherapist with rich experience in the treatment of musculoskeletal conditions from chronic low back pain to sports injuries and postural deficits. We are proud to be the largest team of Physiotherapists of over 200 professionals working together. Involves the use of subtle tissue movement and manipulation to facilitate the release of tissue tension which can lead to shifts in alignment and position of joints. This is applied using gentle warming and stretching of the tissues using the therapist’s hands to target problem areas. Mobilisation of stiff vertebrae in the spine as well as the peripheral joints to improve alignment and posture for the relief of skeletal pain. Establishment of structured exercise programmes to help the client to maintain changes made during treatment sessions. Physiotherapy can also help advice you on improvements in ergonomic and occupational postures to prevent future injuries. Good Evening, I have lower back pain due to slipped disc or prolapsed disc. L4-L5 discs are affected. Kindly help me to cure me without surgery. Thanks for writing to us, noted down your email id and mobile number, our physio will discuss your case with our Doc and will get in touch with you. 1.Postcentral and paracentral Disc protrusion at L4-L5 with caudal migration on left side causing significant Thecal sac Indentation compressing traversing and exiting nerve roots. 2.Diffuse disc bulge at L5-S1 with Indentation over Thecal sac and causing narrowing of Bilateral Recess/ Foramen . 3.Limbus vertebra at L5 with Endplate degenerative changes. 4. Degenerative changes in the spine. Please suggest me the Treatment without any Surgical Procedure. I had some kind of pain in my upper part of my right hand near my shoulder for a long time. I thought there will be a natural cure for the same and just left it as it is. This happened when i played cricket. Now whenever i bend my hand or throw something i feel lot of pain. I went and met a ortho doctor and he mentioned a term called Suprapiuos Tendonities (i am not sure about the exact word). He suggested physiotheraphy. Can you please help me in the same? We can surely help you fix your shoulder to ensure your symptoms reduce and they never bother you again with appropriate rehabilitation in the form of exercises. Doc consults at our poes garden centre on Monday and Wednesday afternoons from 2.30 pm to 6.30 pm and at our Anna nagar centre on Monday and Friday mornings between 8 am to 12 noon. I’ve twisted my knee and wasn’t able to move my leg for few minutes and later on it started slipping away from my knee joint whenever I put weight on it. I consulted one of the orthopedic doc and he advised me to get an MRI scan done, and later confirmed that I’ve injured my ACL and need to undergo a surgery, I’ve consulted 2 more other orthopedic specialists and they’ve also advised me the same. While researching online, I’ve come across your site, and read good reviews, I would like to know from you if my injury can be cured without a surgery or not. It has been 4 weeks now I’ve hurt my knee and I’m able to walk in straight line. I’d really appreciate if you could help me out. Thank you. Dear Mr Azeem we have replied back to your query. Thanks for replying to my query, however, it looks like I’ve lost the email that you’ve sent. I’d really appreciate if you could send that email again if possible or, you may write the answer to my query here and I’ll read it here. I’m so sorry for asking to write back, and I really appreciate your time. We can surely fix your knee and avoid surgery as we have been doing it for many patients of ours. You will need to meet our expert Dr.Kannan Pugazhendi who is a Sports Physician and has been rehabilitating many patients for the same. Please share your contact number for us to facilitate this process for you. Have severe arm, wrist pain and finger numbness. Pls advice what is the available treatment. Hello – I came to know about your institute from a colleague of mine. I went through Knee Arthroscopy in Feb,2016 due to pain in my right knee. I had Patello femoral syndrome with immense cracking sound. As part of the surgery, some adhesions were shaved off under my patella. My cartilage is absolutely fine (as per the senior doctors I consulted last week). The problem I am facing right now is that my operated leg suffered major muscular atrophy after the surgery and I have acute pain under my patella because of which I am not able to exercise and regain my Quadriceps muscle. I am unable to walk fast and have very less control in my leg due to lack of strength. Doctor has suggested Physiotherapy for this. Unfortunately I am in Hyderabad for just a month till 20th Aug. Please advise if you can help me to get better. I have back pain (disc L4/L5 S1) for last 6 months. Although I took physciotheraphy but not recovered. I want to take treatment from Dr.Kannan and can I get walk straight within two weeks? Let me know the fees for two weeks treatment. I need the treatment in Chennai Spaarc Institute Alwerpet st. I have ligament laxity in my knee and there is a very high amount of muscle atrophy. I’d really appreciate if you could help me out. Thank you. I have back pain (disc L4/L5 S1) for last 10 months. Although I took physciotheraphy but not recovered. I want to take treatment from Dr.Kannan and can I get walk straight within two weeks? Let me know the fees for two weeks treatment. I need the treatment in Chennai Spaarc Institute Alwerpet st. I came to know about your treatment through a friend. I am suffering from neck and shoulder pain. Do you have any clinic in Hyderabad. ALso let me know if I have to get any specific reports. This is Manikandan, I had backpain with L4&L5 slip disc problems and last December 2015 taken the MRI. Scan report found this problem I had took some days Ayurvedthic treatment in chennai few months no pain, but now again it’s started. If you could send your contact details via email I could able to send MRI scan report and could you please advice to recover from this issue. My father aged 79 is suffering from L5 S1 compression pain. Let me know how to contact you. I met with an accident 6 weeks ago. Now I am suffering from Knee ACR and PCL tear. I have done MRI as per doctors advice and the results are ACR and PCL grade 2 tear. I have undergone 2 weeks of physiotherapy and there is no improvement. Now doctor is asking me to do surgery. Could you please help me out with this. Is there any way of recovery with the surgery. I saw the details about your certified staff mentioned on the site. Are these the professionals at your branches across India? I had a knee injury.MCL.Happened in february 2017during playing badminton.Not playing now. Not cured completely.Physiotherapy completed.Managing with knee caps and rest/exercises.Not completely stabilised. Doctor suggested knee strengthening exercises.Can you please suggest the possible treatment without surgery? Hi. This is Suveditha. I had proximal radius bone fracture in left hand. I was in pop for 100 days and now my bone got joined and removed plaster. I went to physiotherapist for 1 week. I am experiencing severe pain in elbow and wrist since my muscle and joints got stiffness. I want to know whether you cure my stiffness without pain using your techniques. Thank you. I have lower back pain due to slipped disc. My doctor has suggested me a physiotheraphy.